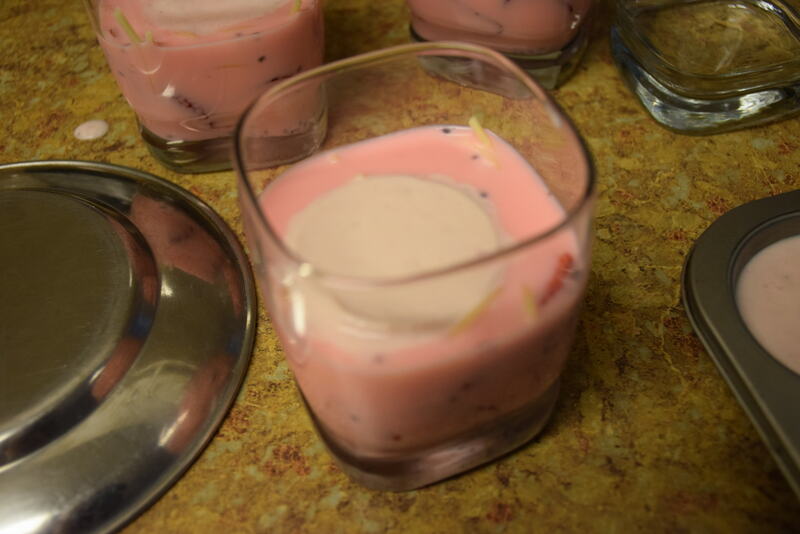 The word ” Falooda” brings faint memories in my mind when I had eaten my 1st falooda in my childhood(6 yrs old).My parents and my elder cousins had taken me to a fair and after visiting the fair we had had faluda on a thela(vendor) but the experience was unique. I didn’t like the 1st bite ,but then ate the whole plate of falooda ice-cream in a minute. 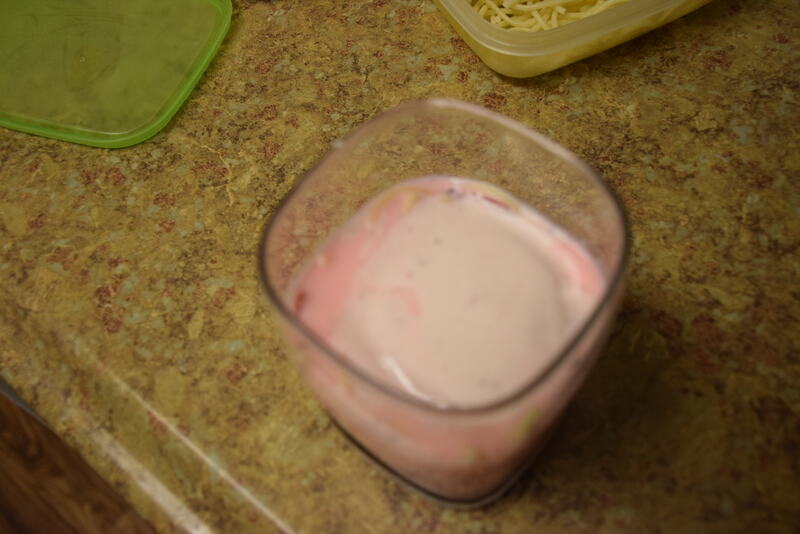 It was this pink faluda as all I can remember. But after that , this taste was again brought in my life by my dear friend Amruta. I owe this recipe to her treat she gave me. 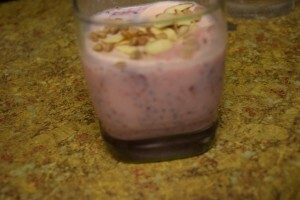 Falooda is a kind of Indian dessert which could be served in a plate or a glass and with or without ice-cream of the same flavor. There could be as many flavors as you could imagine like Pista falooda, Mango Falooda, Strawberry Falooda, Rose Falooda, Badam Falooda, Banana Falooda, Pineapple Falooda, Cherry Falooda etc. The basic ingredients remain the same viz. subja seeds(tukhmaria/basil/falooda seeds) , Falooda sev, milk, dry fruits,fruit pulp,jello or agar-agar and ice-cream. If you don’t get the falooda sev from the store you nay use vermicelli sev, or thin angel hair spaghetti too in its place. 1.Take a wide pan with a heavy bottom. 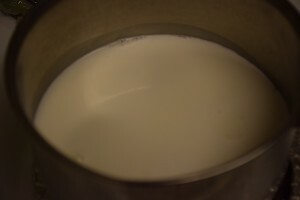 Add milk to it and boil it with continous stirring. 2. Boil milk and add sugar to it. Reduce it in quantity. Just before reaching the consistency of condensed milk turn off the heat. The idea is to thicken it but not as much as condensed milk. Be careful the milk should not burn or stick to the bottom of the pan, so stir on rolling boil for 5 mins. 3. When the level is reduced ,then cool it to the room temperature. 4. 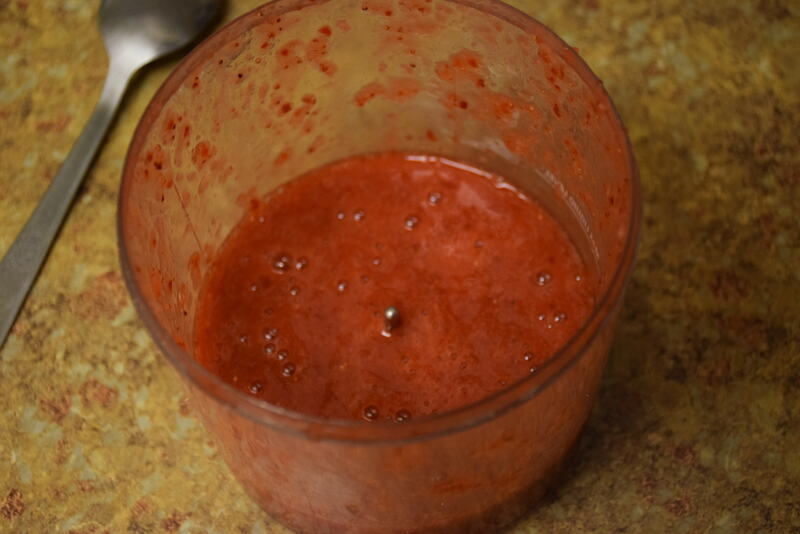 Now add it in a glass or mug or bowl and chill it in the refrigerator. 1. Take a pan and add 2 Tbsp corn starch in it. Also add 1 cup water and bring it to a boil. 2. Take another bowl and add the 3 tbsp corn starch in 1/2 cup cold water. 3. When the pan mixture starts boiling add a pinch of red food color( or turmeric to make sev like store) which will give a pink color to the sev. 4. 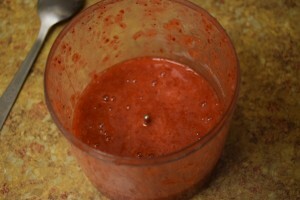 While stirring ,add the bowl mix into the pan and continue stirring to make it a jelly like paste. 5. Finally when you get a thick jelly paste turn off the heat. 6. Add paste in a noodle maker and press the noodles in a pan of cold water(iced). 7. Do not stir the noodles in the pan and leave them for a minute. 8. 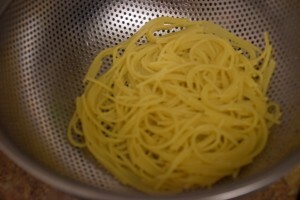 Now drain the water and keep the noodles in the refrigerator till the final assembling. Note: If you are using other sev like spaghetti in place of falooda sev or vermicelli sev then make sure they are added to bliling water and are cooked thoroughly till tender soft. They should not be cooked al-dente but fully. 1. 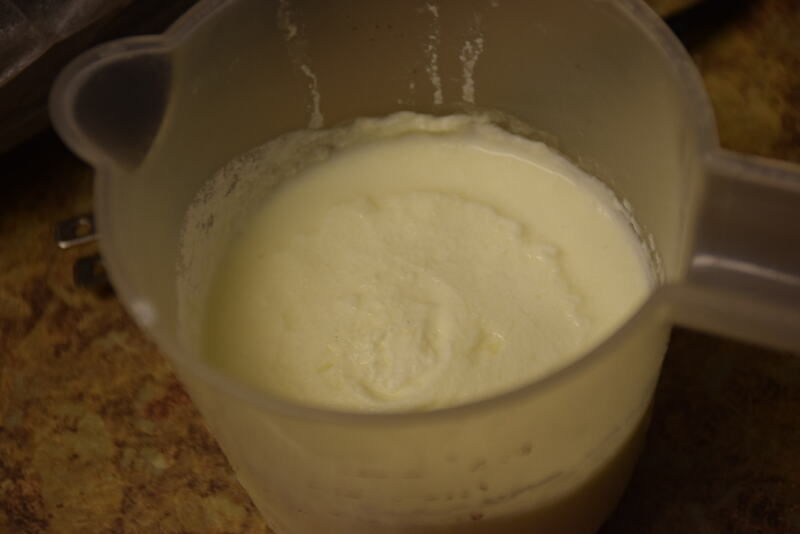 Take some heavy whipping cream in a cup and chill it in refrigerator for atleast an hour. 2. 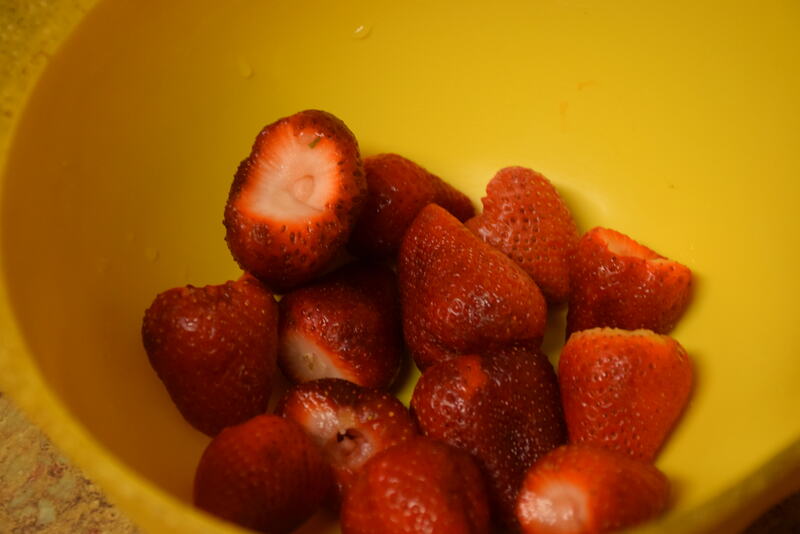 In the meanwhile, wash and clean the strawberries. 3. Make a puree out of them with a blender or any jar/mixer. 4. 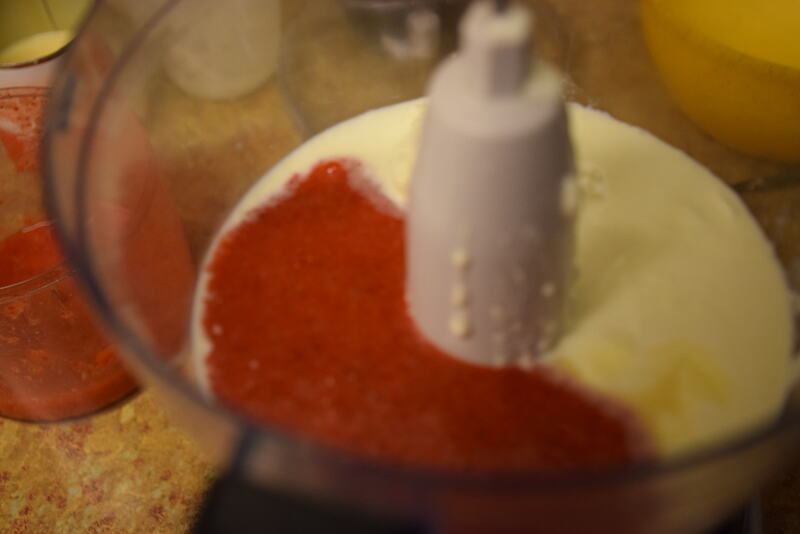 In the same jar add the condensed milk, vanilla extract ,a pinch of red food color and blend them together too. 5. Now take out the cream and whip it till it forms peaks. 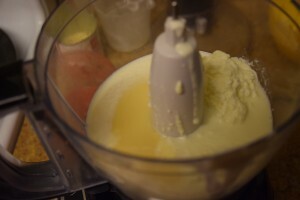 Fold in all the puree-mix with the cream gently so that the peaks are not broken. 6. 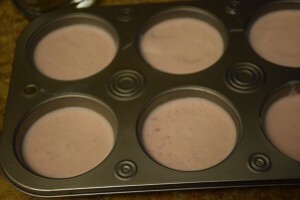 Transfer the ice-cream mix into cup-cake mould’s tray . Cover it with plastic wrap. 7. Freeze it in refrigerator for atleast 3-4 hrs. 1. 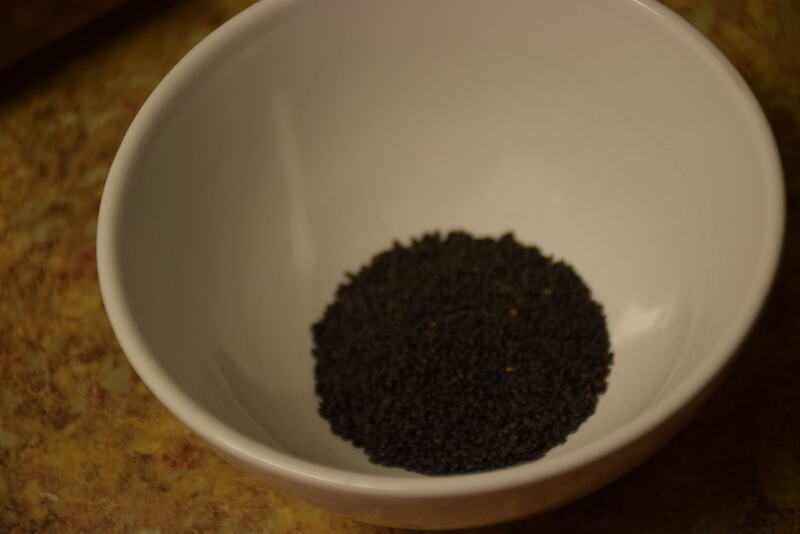 Soak the sabja seeds/basil seeds in water overnight or for 2 hrs atleast.These seeds have a cool nature and could be added in any thandai or cool drink recipe for a good taste. 2. Prepare strawberry jello by following the instructions as mentioned on the packet. You may use agar-agar too. Dissolve agar-agar(china grass) 2 Tbsp in 1 cup water and heat it to a rolling boil. Also add a pinch of red food color to get red gelatin. Let it cool to the room temperature and then chill it in the fridge for 2 hrs. 3. Once the gelatin is set cut in desired shapes/cubes. Although I prepared falooda without gelatin but you may add it for colorful texture and taste. 1. Take a glass and 2 spoons soaked basil seeds in it. 2. 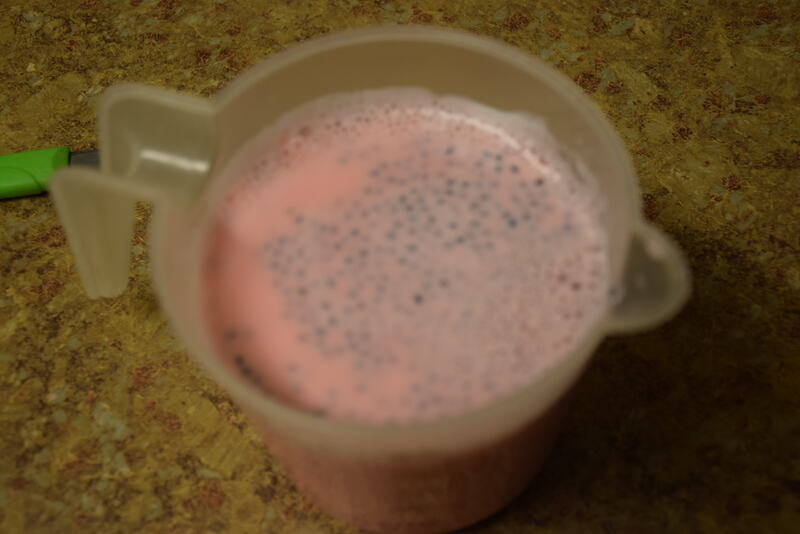 Now take out the chilled milk and add rose syrup in it. 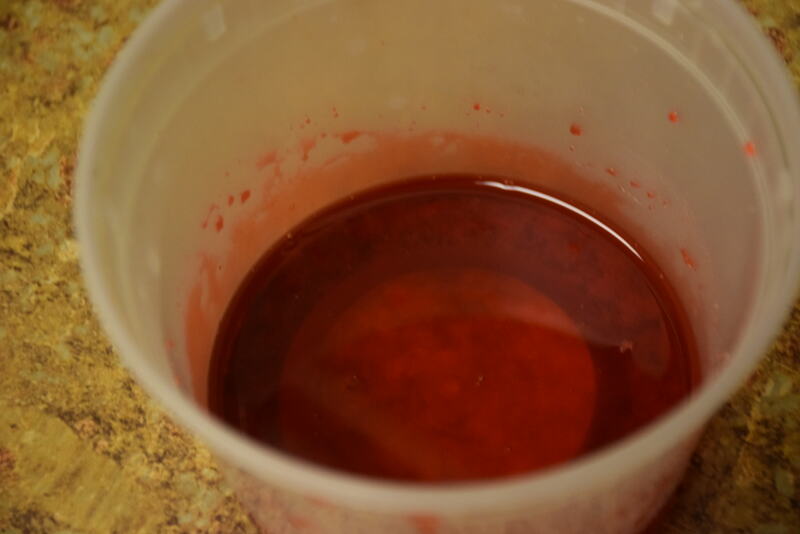 You may prepare this rose syrup at home using rose essence,rose water, red color, sugar and water. 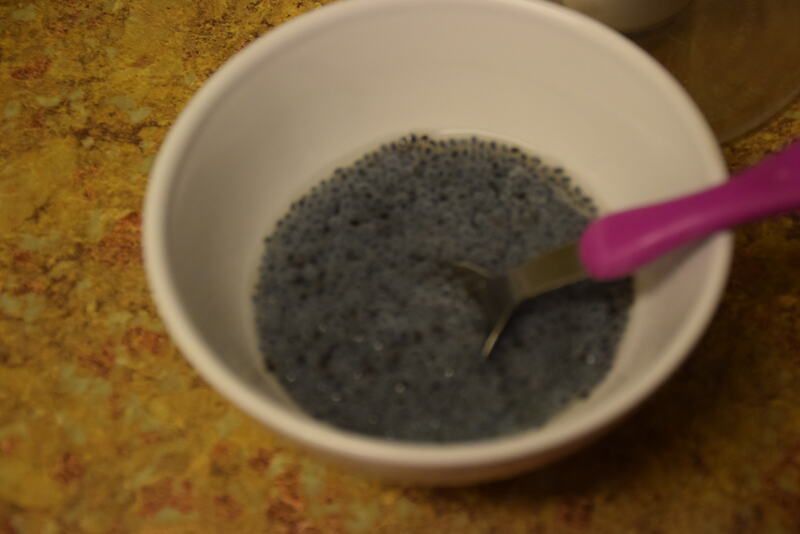 I have added these sabja seeds too in the milk to bring a nice texture. 3. 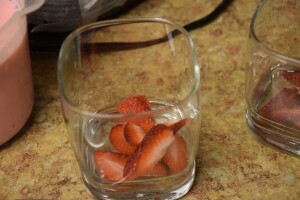 Add the strawberry pieces(small cut) or puree in the glass just above the basil seeds. 4. 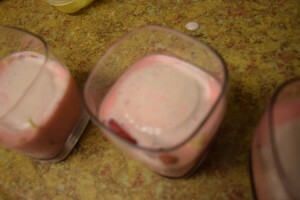 Now add the rose milk prepared in step 2. 5. 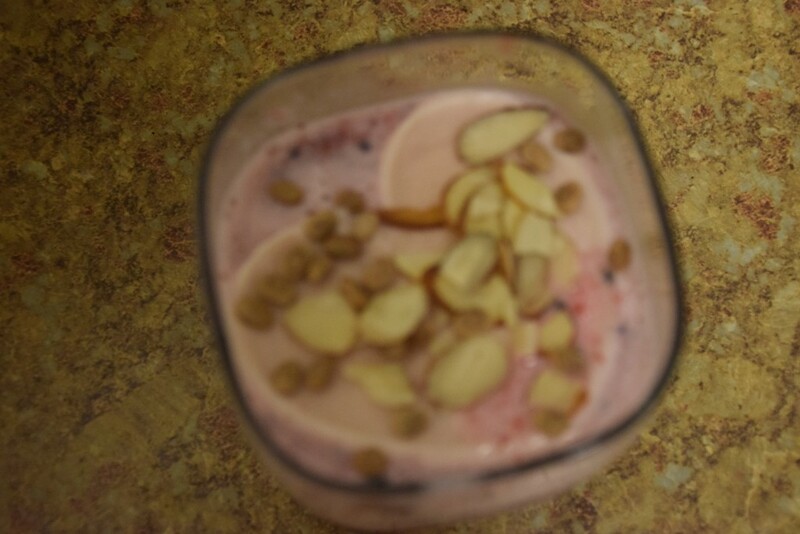 Also add the falooda sev in it. 6. Now add the ice-cream on top of it. 7. 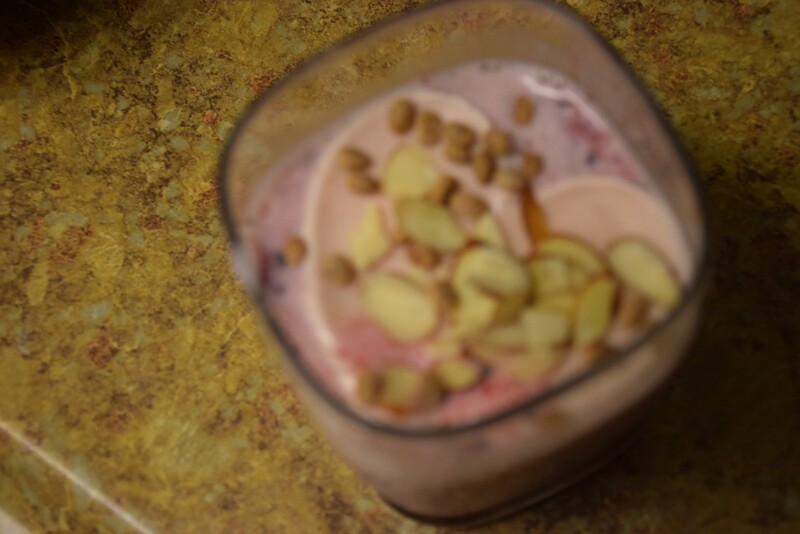 Finally garnish it with silvered almonds,pistachios and chironji. The refreshing spring drink is ready to enjoy! This entry was posted in Drinks, Food, Recipes and tagged almonds, basil seeds, chiroli, chironji, condensed milk, corn starch, falooda, falooda seeds, home-made, ice-cream, milk, nuts, pistachios, puree, readymade, rose syrup, sabja, sev, strawberry, tukhmaria, vermicelli, whipping cream.